Luff Industries manufactures one of the most complete product lines available. 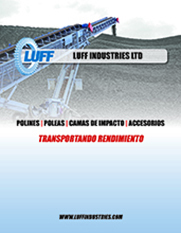 For detailed information and technical specs for all idlers, pulleys, impact beds, and various accessories, please download the latest Luff Industries product catalogue, available in English and Spanish. 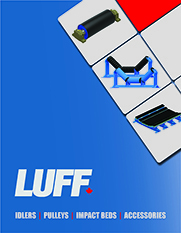 Download the Luff Product Catalogue from the links below.